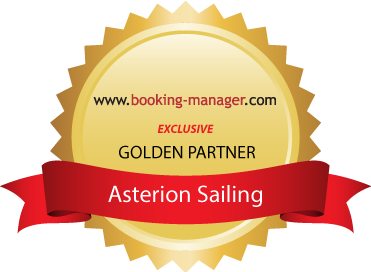 Asterion Sailing - 2018 will be a great year! All this without a one-way charge!! Amazing, right? Well, hold tight! There is more to come! We will also have Priamos, one of our Bavaria Cruiser 45, in Athens for you to enjoy the lovely Aegean! Automatic CO2 life vests will automatically inflate when immersed in water and are very comfortable to wear on board. Safety first for you and your family or friends! This 18-inch, 40 W solid-state, dome rada with MotionScope™ technology and Pulse Compression technology will make you stay on board even more comfortable! Are you into exploring nearby beaches and caves or staying fit during your holidays? We have just the thing for you: a standup paddleboard!